Culturally or environmentally unique Korean venues are stealing more attention from professional convention centers recently. So called ‘Unique Venues’ offer more freedom as well as relaxing environment, satisfying the needs of international guests visiting Korea. 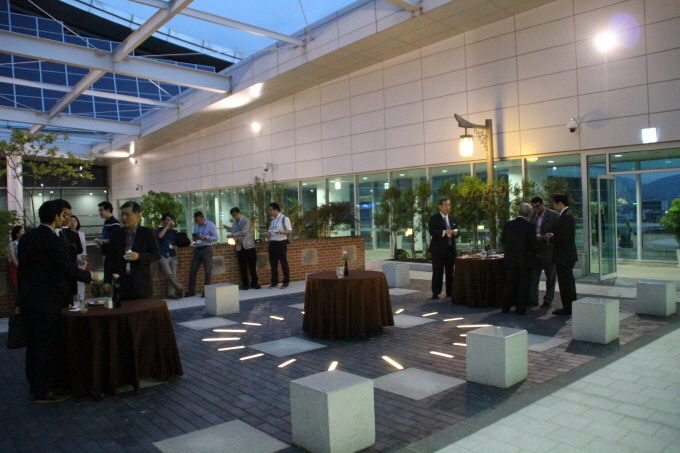 EXCO ‘Hanul Jeongwon’ and Daegu Tower ‘Sky Garden’ are two unique MICE venues of Daegu. 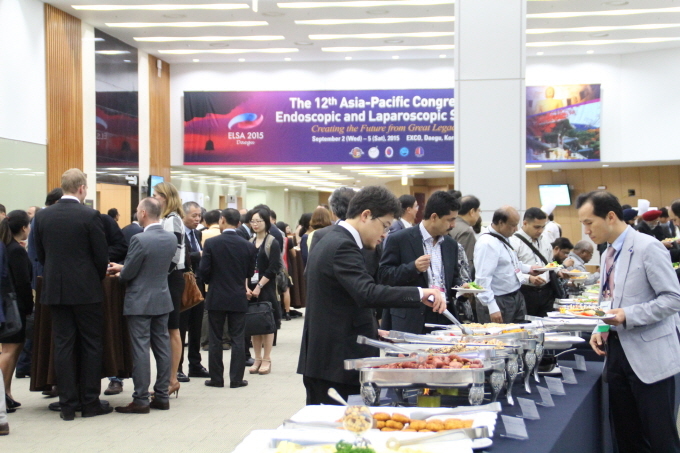 The opening ceremony, welcoming reception, and gala dinner for the 12th Asia-Pacific Congress of Endoscopic and Laparoscopic Surgery (ELSA 2015) were held at these unique venues. Bridging the main building with new wing at EXCO’s 5th floor, Hanul Jeongwon preserves Korea’s indigenous and distinctive sentiment. Lawn, pond, and pot plants are organized to resemble that of an ancient Korean court garden, taking its visitors back to the nature. VIP room is organized with Korean traditional interior design and is a good venue for a tea time ? utilized as a high class unique venue during international conferences. Connected to auditorium (which can sustain 1,300 persons) and the lobby to enable free networking, Hanul Jeongwon delivers satisfaction to its visitors. 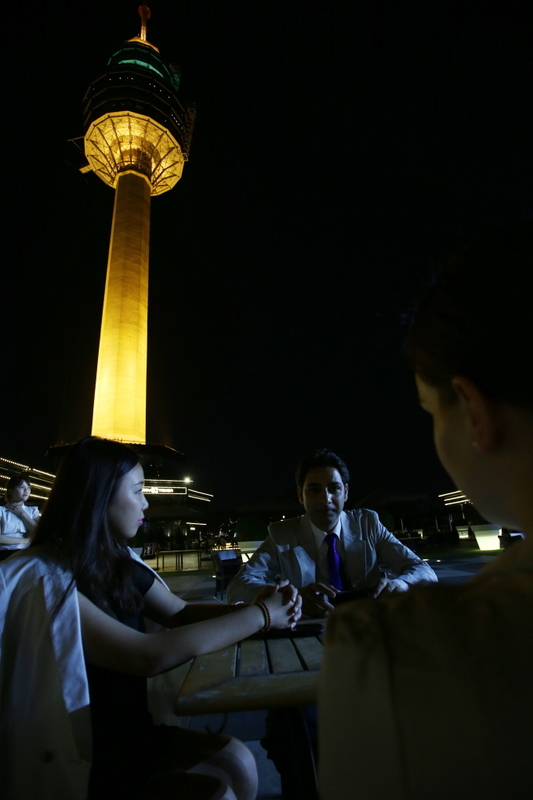 Daegu’s landmark 83 Tower is a modern day version of Dabotap a stone tower built during Silla dynasty. Sky Garden on the 4th floor offers view over the city of Daegu, amazingly beautiful especially during the night - easily one of the best venues to host an outdoor reception. 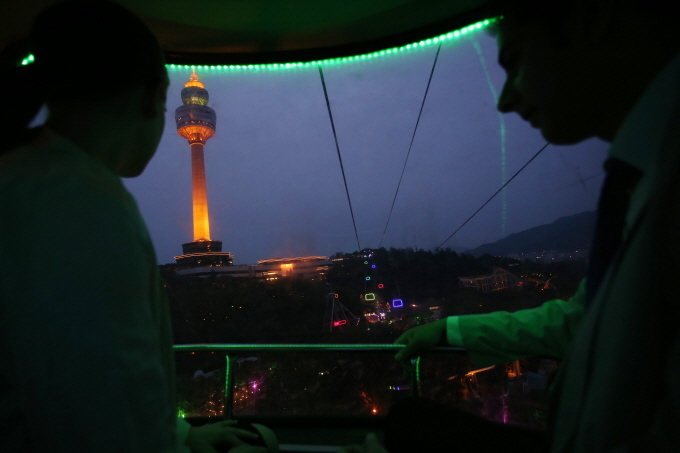 The tower standing next to the garden creates a magnificent view, and you can also ride the cable car from the tower, which may be another way to enjoy night view of the Daegu City. Key establishments were renovated in 2013, and various food chains were brought in to the Tower. Catering services are available for receptions, along with the best quality service you can ever get. Facility can sustain about 300 to 500 persons. Write up to 140 characters. Only registered members can save Notes. Do you wish to register/login?